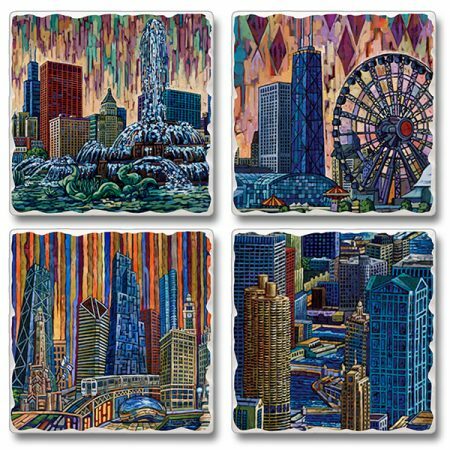 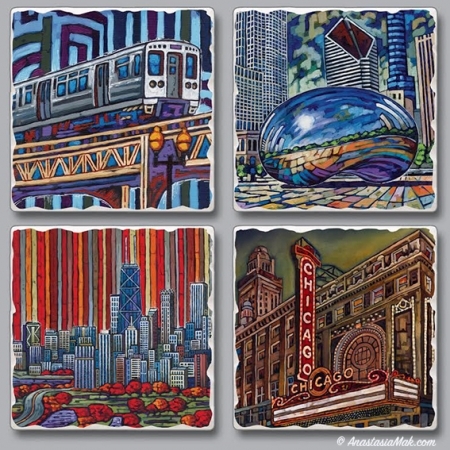 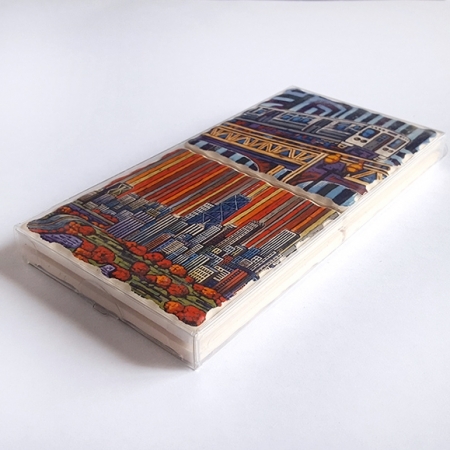 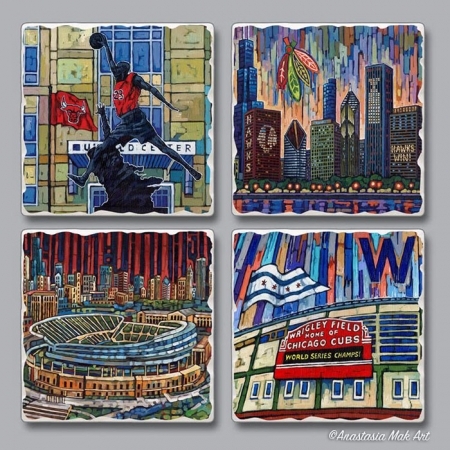 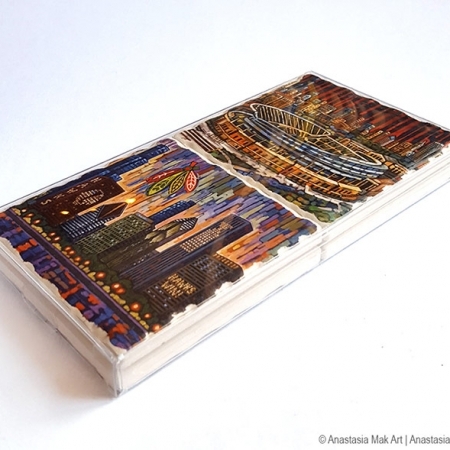 NATURE COASTER SET: set of 4 Chicago coasters featuring nature-themed artwork by Anastasia Mak. Coasters are made from absorbent sandstone tile (condensation will not cause drink glass to stick to coaster). 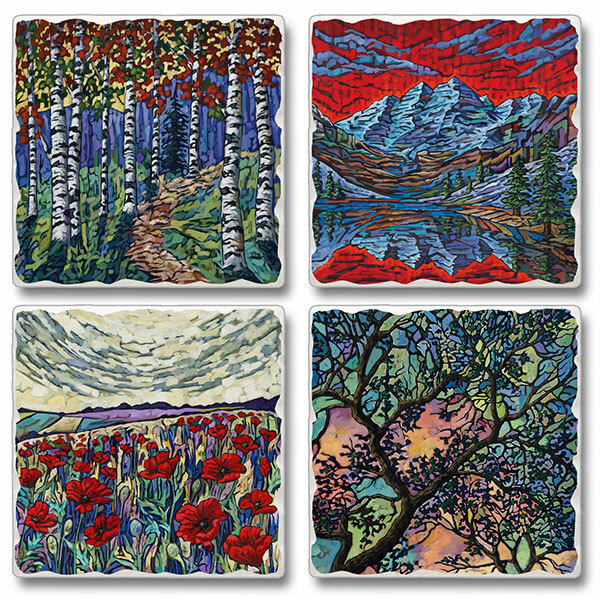 Nature Coaster Set – this set contains one each of the following painting images: “Aspen Forest”, “Maroon Bells”, “Poppy Field”, “Zion Trees”.